Lowara GS submersible borehole water pumps for 4" wells and boreholes, suitable for water supply, pressure boosting and more. WRAS Approved expansion vessels suitable for booster systems, thermal expansion, irrigation systems, and hydraulic hammer arresting. 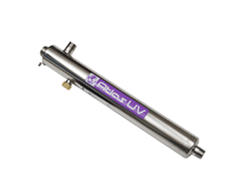 Atlas UV sterilisers are a safe, chemical free and cost effective solution to destroying harmful bacteria found within your water. 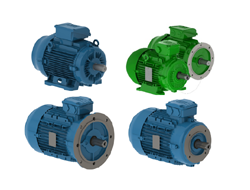 Whisper Pumps supply the full range of WEG electric motors and motor drives. If you need to return an item, it’s our aim to make the process as simple as possible. 1) The goods must be returned un-used and in the original packaging with all component parts and any promotional items. 2) Returns will not be accepted if the goods or packaging is damaged. 3) Pumps must not have been filled with or immersed in liquid of any type. 4) The refund will only be for the goods and not the delivery charges. 5) Any return is made at the buyers risk and expense. Certain items are excluded from our guarantee, these include consumables, bespoke items and goods made to measure or cut to length. In order to process a return, you will need to send an email to: sales@whisperpumps.com. Please state on the email your order number, postcode and reason for return. We will respond with instructions and provide authorisation. None of the above affects your statutory rights. We can often resolve minor problems over the telephone and our engineers are happy to offer free advice. If the product is within the manufacturers warranty period and the fault was caused by faulty manufacture or components, it will be repaired or replaced free of charge. If you are unsure of the warranty time period do not hesitate to call us on 01777 871100 for more information. If you need to return goods to us for repair / replacement please ensure they are thoroughly cleaned, drained of all fluids and packaged suitably for transit. We cannot accept responsibility for goods which are damaged or condemned by the courier.